Model RPWFE. Compatible with GE’s RPWF or RPWFE. Null Rpwfe. Enjoy refreshing, clean water from your refrigerator with the GE SmartWater refrigerator filter. Its energy efficiency is compliant to Energy Star standards. 5-stage hollow fiber ultrafiltration water filter system. Can be attached to the kitchen tap or installed under sink. Premium Faucet: Modern style deluxe faucet,drip-free,longer life span. Click for Full Description. Compatible with part numbers 9690, 469690, 46-9690 4609690000, 46-9690, and ADQ36006102. 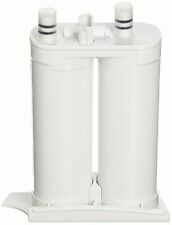 Kenmore refrigerator water filter (part number 9690) fits Kenmore refrigerator models You’ll save a bundle by not ever purchasing bottled water again. Offers up to 50 Gallons Per Day in bottled water quality. Refreshing, Crisp Taste Superior to Bottled Water. Dimensions: RO Unit 14-1/6"L x 9 "D x 19"H. Click for Full Description. The Samsung HAF-CIN Refrigerator Water Filter uses a powerful concentrated carbon filter. Compatible with following Samsung Refrigerator models: REFSVC, RF260BEAESR, RF260BEAEWW, RF261BEAESR, RF263BEAESR, RF263TEAESR, RF323TEDBSR, RF4267HABP, RF4267HARS, RF4267HAWP, RF4287HABP, RF4287HARS, RF4287HAWP, RF23J9011SR/AA. 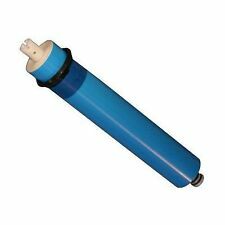 Whirlpool Refrigerator Water Filter by "FILTER1" W10295370A. The Whirlpool PUR FILTER 1& FILTER 3 refrigerator water filter transforms your water into a premium quality beverage while maintaining beneficial fluoride! Get clean & clear water in your whole house faucets. Suitable for Municipal and Well Water Applications. Filter life varies and depends on the water source quality. Opening Spanner / Wrench. 1 Mounting Bracket. Can you just taste the plastic leaching into your water from bottled water that’s sat on the shelf or in the heat too long?. FRESH, INSTANTLY FILTERED ALKALINE WATER. ​Why Alkaline Water?. Amazing Filtration & Alkalization. APF-0300 is certified high-quality refrigerator water filter for popular and well established models of refrigerators. It is made out of high-grade coconut shell carbon block and provides a fast and convenient way for you and your family to enjoy pure, great tasting filtered water. • Coffee/Tea Filtration Systems, Espresso Filtration, Fountain Beverage Filtration, Ice Filtration, Drinking Water Filtration, Reverse, Osmosis Systems, Whole House Water Filter Systems, Waste Vegetable Oil. Enjoy fresh filtered water right from your refrigerator dispenser without worries. Provides 6 months or 300 gallons of refreshing water for the average household. For Samsung DA29-00020B Refrigerator Water Filter. About GE MWF. 2PK General Electric MWF Refrigerator Water Filter. - Works with a wide-range of GE models. We will reply you ASAP. - Should be replaced every 6 months. - Replaces GWF, GWFA, GWF01, GWF06, MWFA. EveryDrop Model Number:EDR2RXD1 OR W10413645A. Now, you and your family can enjoy the enriching benefits of cleaner, freshly filtered ice & water. Even your pets will love it. Everything in life tastes better with EveryDrop Filters by Whirlpool Water. Manufacturer's Id: ULTRAWF. The ULTRAWF is comparable with the following part numbers 46-9999 ULTRAWF. Frigidaire A0094E28261. Filter Life (gallons):200. Filter Life (liters):757.08. Filter Life (months):6 months. Alternate Part Number: 241791601; 242017801; 242017805; 242294401; RENEWULTRAWF; SULTRAWF. Frigidaire® PureSource Ultra® is a push-push filter designed for use on all French-Door model refrigerators. 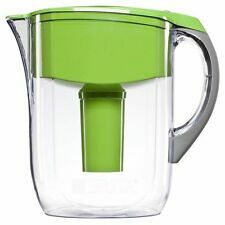 Compare to Brita® Filter. This is not a Brita® or Pur® OEM product. Each filter lasts 40 gallons or 2 months. From air filters to water filters, we got you covered. Trending at $26.77eBay determines this price through a machine learned model of the product's sale prices within the last 90 days. Model: Whirlpool 4396710. You can enjoy 6 months clean, great-tasting water straight from your own refrigerator. 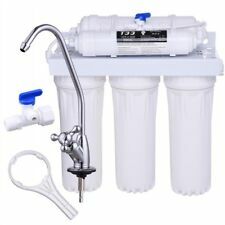 It is very necessary to change your water purification filter regularly for every 6 months. 9900, 9981, FILTER 1, FILTER1, W10217316, W10291030, W10295370, W10295370A, W10569758, W10569760, W10569761, W10735398, 9930, 883049361901, W10394044. Replaces Model Number W10295370A. Part Number EDR1RXD1 replaces. 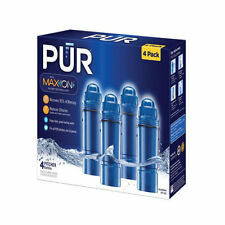 The Pure Source Ultra Refrigerator Filter ULTRAWF replaces filters found in Pure Source Ultra Refrigerators with top mounted cylindrical filter housing. In addition, it will also replace Part Numbers 242017800 and A0094E28261. We will enclose 2 of elbow fitting (1/4" thread x 1/4" tubing). - 10" CTO Carbon Block Filter. Removes chlorine, chloramine, VOCs, bad taste and odor, 10 micron. Removes chlorine, chloramine, VOCs and etc. DA29-00020B Refrigerator Water Filter Features 2 Samsung DA29-00020B Refrigerator Water Filter. Uses revolutionized technology for water filtration, most of the impurities that water has are filtered away. 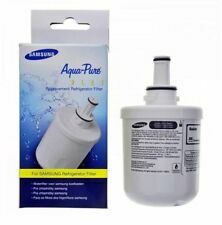 DA29-00020B Refrigerator Water Filter Features 1 Samsung DA29-00020B Refrigerator Water Filter. Genuine Samsung Water Filter. Uses revolutionized technology for water filtration, most of the impurities that water has are filtered away. For up to six months after an easy installation, your drinking water will experience a significant reduction in contaminants including chlorine, lead and up to five pharmaceuticals. Reduces chlorine, asbestos and up to five common pharmaceuticals. Replaces Model Number Kenmore 9081. Replaces Filter Kenmore 9081. Used in side-by-side, top freezer and bottom freezer refrigerators. In the bottom freezer refrigerator, itÂ’s in the bottom left grille. Water plays such an important role in ensuring that we are healthy and feel great. Many people leading healthy lifestyles have turned to various filters in order to ensure that their H2O tastes great and is free of contaminants. There are many different filtration options on the market, and many are an economical and convenient way to enjoy drinking water that tastes great. Water filters purge or at least reduce impurities found in water. Water filtration is used for many different purposes, including creating an ideal environment for aquatic animals and eliminating impurities from liquids used to cool electronics. Filters are also used to make water drinkable. Water filtration systems are used throughout the U.S. to deliver clean drinking water to homes and businesses, and many people opt for in-home filters and portable filters not only to improve taste but to ensure that it meets their standards. Are water filters certified and what types are available? What filtering techniques are used? Charcoal or activated carbon, which is used in faucets, coffee machines, and containers. Gravel is used to trap large solids. Reverse osmosis eliminates bacterium, protozoa, viruses, and chemicals. Ultraviolet systems disinfect water effectively but can’t remove chemicals. Softeners eliminate hardness, such as calcium and magnesium, and can remove metals. Do water filters extract minerals? Some filters do eliminate or reduce minerals from water. Charcoal, which is commonly used to purge bad tastes and odors as well as chemicals, does not. Reverse osmosis and other advanced methods can. Filtered water for human consumption should retain essential minerals. Minerals from your faucet water aren’t your primary source of minerals daily but aren’t insignificant either. Note that most filters for drinking water are purposefully designed not to extract nutrients. How often should the media be replaced? There is no one right answer as to how often you need to change it depends on the system. For refrigerator units, manufacturers often recommend replacement every three months. The major brands recommend replacement every two months for bottles, pitchers, and other containers. 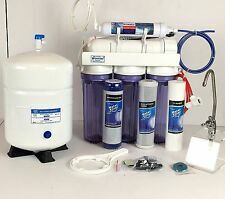 Water filtration system effectiveness is usually based on volume, however, so frequent use can shorten replacement time. It’s best to follow the instructions given with the specific water filter you purchase. This Thanksgiving, give your family lots to be thankful for by shopping for everything you need to make the day memorable, such as water filters, serving dishes, and Thanksgiving decor and other deals.